Welcome everyone to Tea Cup Tuesday! and then hop over to your place and see your tea cups as well. I am amazed at all the variety and at some of your collections as well. My cup today is Austrian. 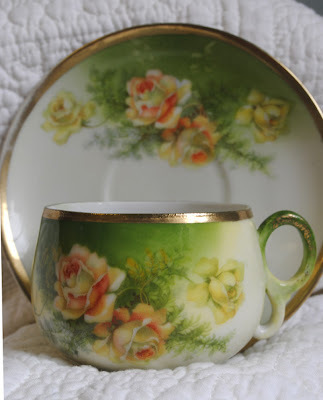 I do not have many made in Austria, but I find that they are very delicate cups and usually beautifully painted. I do love the autumn colors of this cup. My favorite color rose is a rose just like the ones on this cup! It wasn't an expensive cup, I am sure it was under $10. It was well loved as the cup shows plenty of wear on the gold gilding. But I do not mind in the least. I still find it a lovely cup. This cup has a simple ring handle, I love how it is spotted with gold! 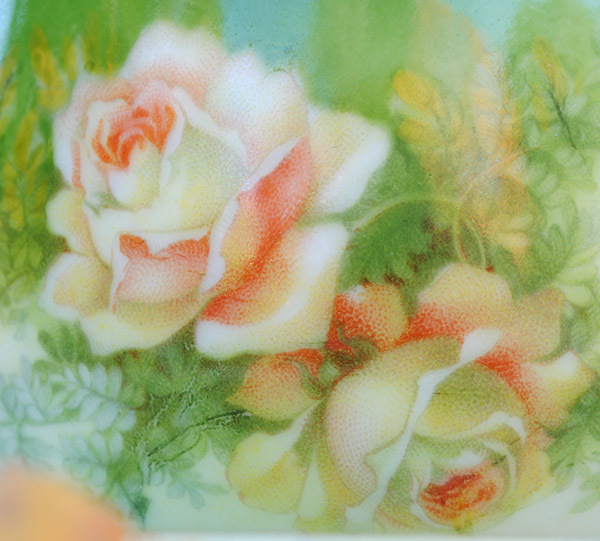 Bohemian porcelain is not bone china, but made from very fine white clay, feldspar and quartz. Bohemian porcelain made before 1918 may use Austria as the country of origin. I am thinking that this cup is pre 1918. 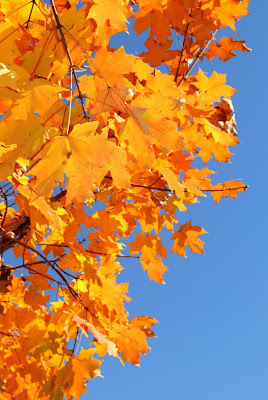 It is truly Autumn, I love the contrast between the bright blue sky and the golden fall leaves. I thought I had already posted my last rose of the year, but there are a few more hanging on despite the frosty nights. 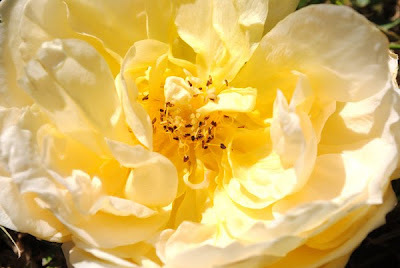 This is one of my favorite roses. Thank you so much for stopping by. Please do stop by and see Martha. She is a dear soul and radiates love all around her. If you want to play along. Create a post with a tea cup (or more than one) that you would like to share with us. Then come here and fill in the two blanks below with Mr. Linky. Once you have created your link, test it out, sometimes it does not work. Have a wonderful week and enjoy every thing you possibly can. Oh, Terri, your teacup is stunning!!! I LOVE that shade of green. SO gorgeous. In my neck of the woods, the leaves are pretty much gone from the trees now. Basically, all I see against the blue sky (when there's blue sky, that is...it's been mostly gray and cloudy these past few weeks) are barren branches. Unlike you, our color is already gone for the year. Your photos reminded me of this poem. Fabulous tea cup! I love this teacup! The colours are splendid!!! That is a lovely cup. The green color is beautiful, as is the artwork. Your fall photos are great. The rose is very pretty - my favorite roses have a coral (or salmon) color. Your rose looks like its made of fabric ...so beautiful! And the teacup is a real vintage one to treasure. You must have quite a collection Terri! Today I show an austrian cup too! Such a wonderful teacup, Terri! I always enjoy reading your info on each one. Our trees are all bare now. I'm thankful for the Christmas lights going up to take away the dreariness of November! Have a lovely week. This is such a special teacup...the shape is so exquisite, as is the painting and gilding! this teacup is really outstanding in color, shape and decoration. So lovely. The mark Austria/Carlsbad is really interesting. Thank you for showing us this nice tea cup.This roses will last the whole winter. Terri, a fellow Detroiter! Where did you live in Detroit? I was born in Detroit, raised in Dearborn and years later I lived in Lafayette Park on the edge of downtown Detroit. Loved the story about naming your daughter Sarah. Was it the song "Sarah Smile" or the other one by Steve Perry - "Sarah, Sarah, storms are brewing in your eyes...?" I LOVE this cup. The color is amazing and the handle -- too much fun! Happy Tea Day! Lovely cup and thanks for info on dating Austrian pieces. 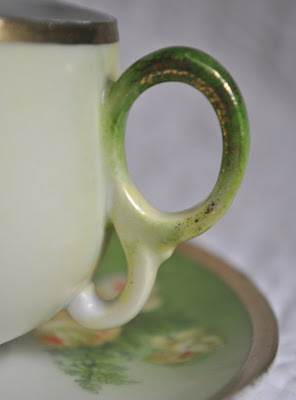 Green alwyas makes an unusual tea cup I think and this one with the dash of orange rose...very different. This is really one of the most beautiful tea cups I have seen, and the close-up of the art work shows it to be even more beautiful in the details. Thank-you for hosting Teacup Tuesdays. 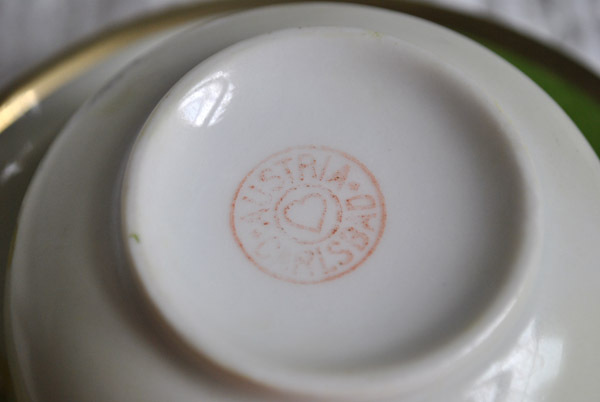 I learn a lot from you about teacups, porcelain, china, and am finding this fascinating. What a green colour it is. absolute beauty Terri.. something so different and beautiful... the rose on it is itself like a treasure... I would say VERY TEMPTING..
Oh my! The colors in this lovely teacup and saucer are exquisite! I love it!!! I am very interested in you sharing the difference in the make - amazing isn't it the wonderful things people have learned to create! I love your combination of colors and pictures - just my cup of tea! Jennifer jennsthreegraces stop by sometime! Thank you for stopping by. Here in north Fla. we only have a few trees here and there that turn, our trees are mostly water oaks. They hold their leaves until spring and once they fall the new ones come back on very quickly. I love your beautiful cup Terri. I found it so interesting about the clay used. I don't know anything about what is bone china and what is not. I need to do some studying. I love the painting on this lovely cup. 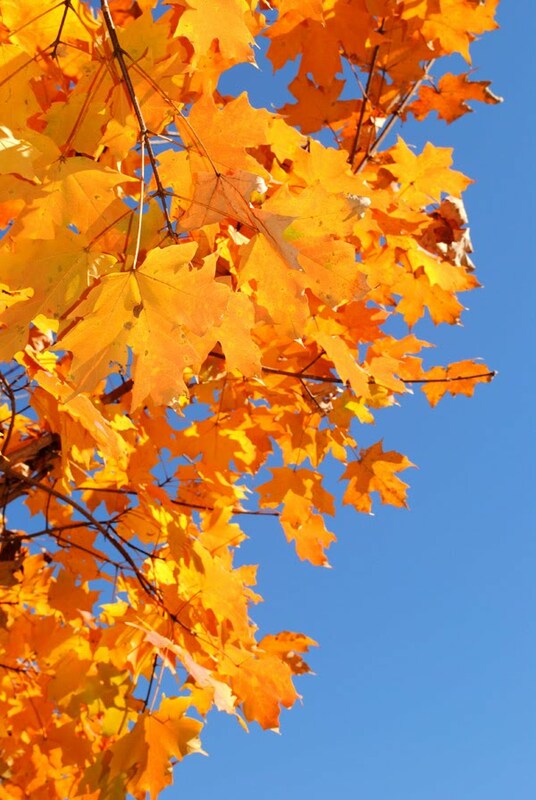 You are still enjoying some beautiful color in your area. My world is covered in snow this morning. I woke up and went to the window and saw that we had gotten about 2" of thw white stuff. As much as I complain about it...it sure is a beautiful sight. You have a beautiful Teacup collection do enjoy them in good health. thanks for the inspiration. I found these 2 teacups at a salvage. I paid .50 cents for each one, imagine how happy I was. LOVE that gorgeous handpainted set!! Lovely!